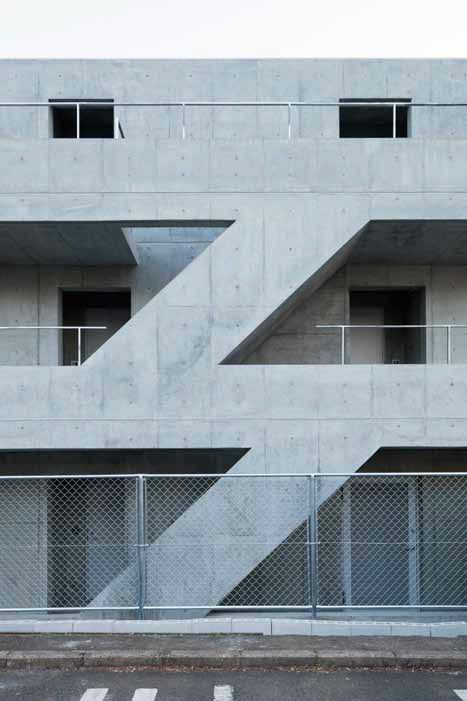 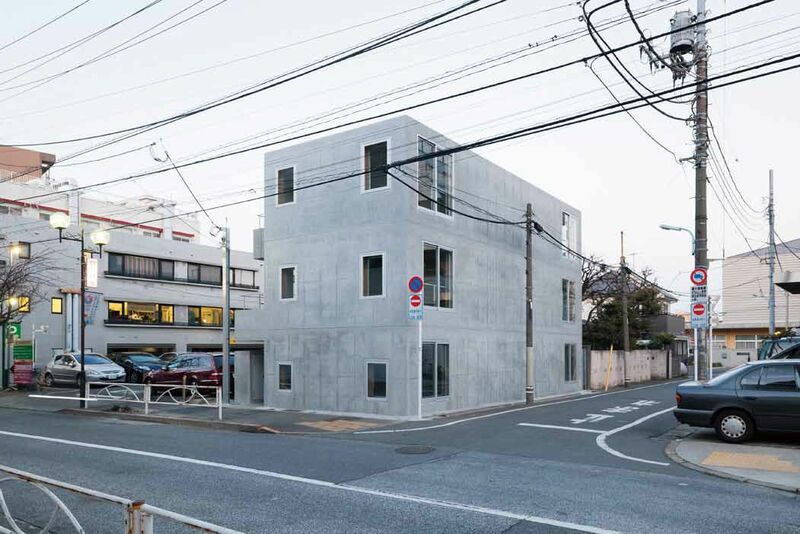 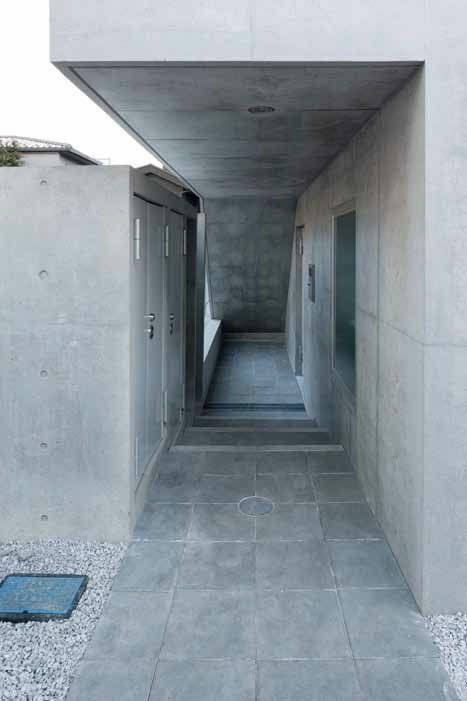 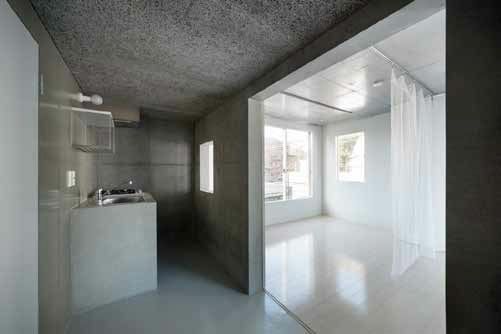 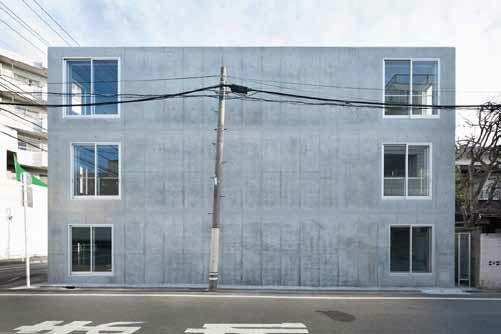 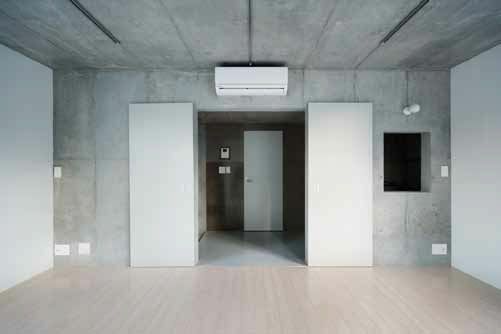 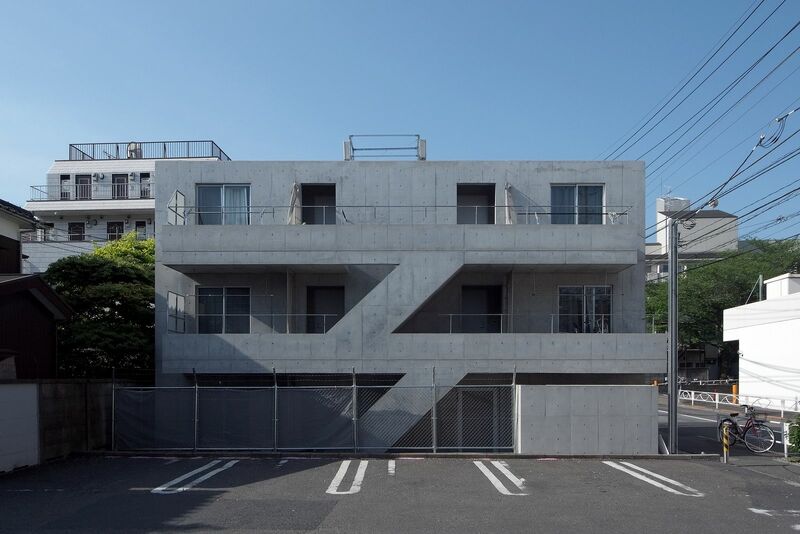 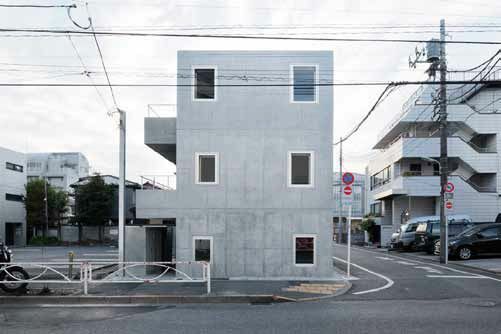 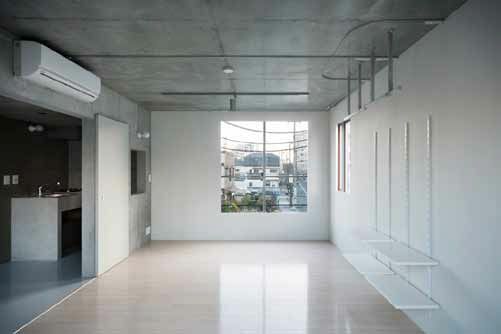 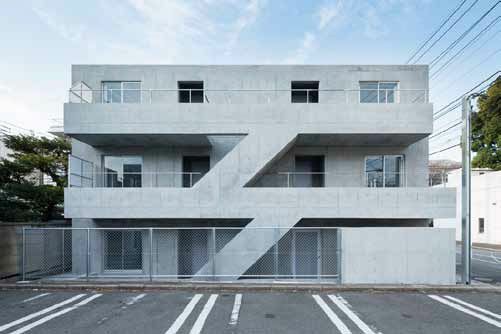 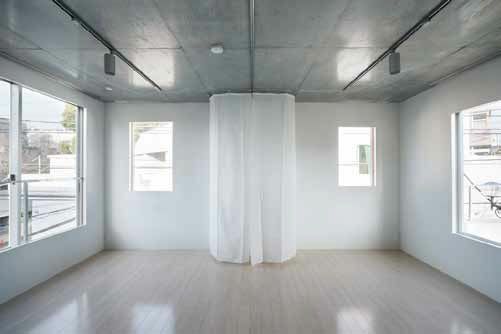 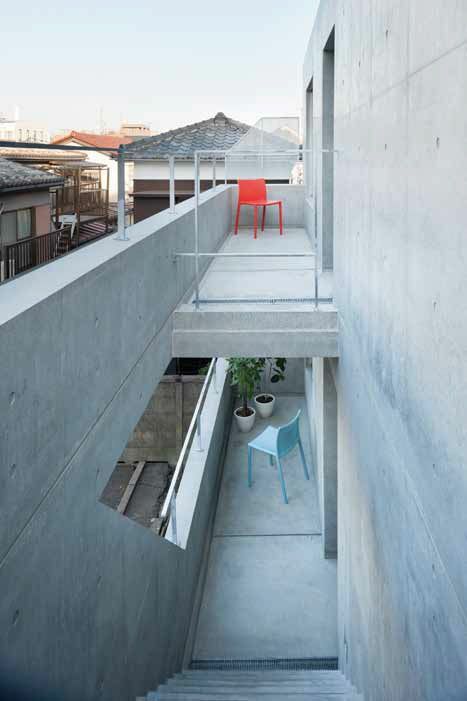 This is a project of the small apartment building project located in central Tokyo. 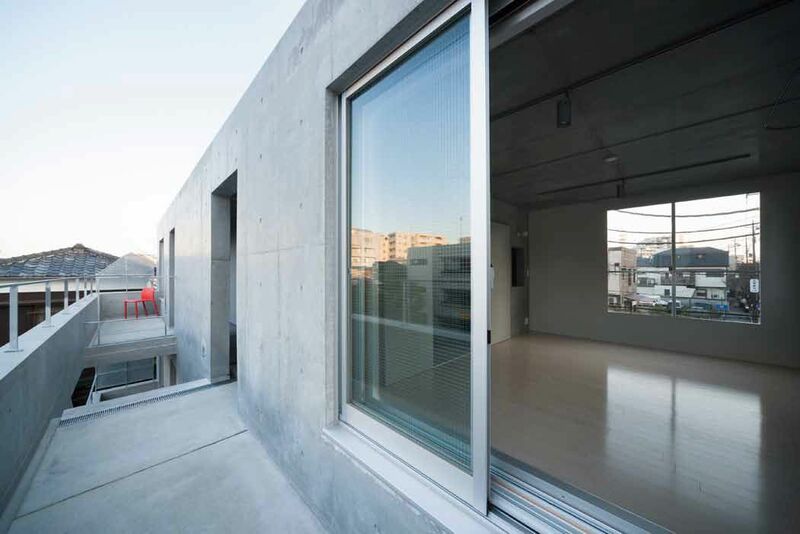 While keeping away from the setback regulation, in order to obtain maximum private space, the building itself was concentrated on the south side, allowing for the emergence of a spacious balcony -continuous from the interior- on the north side. 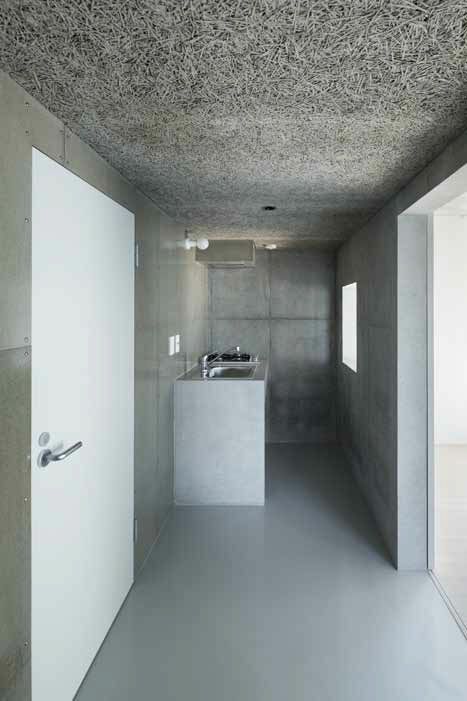 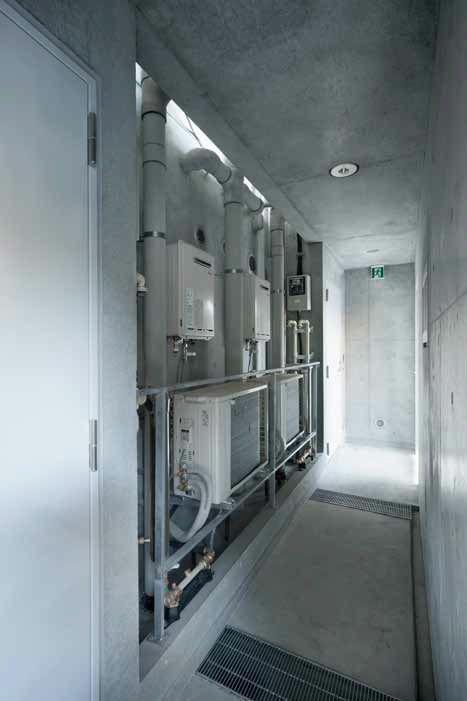 By placing the water supply and drainage in the center and providing three windows to each room, natural lighting and ventilation can be achieved even when dividing the room into two parts.